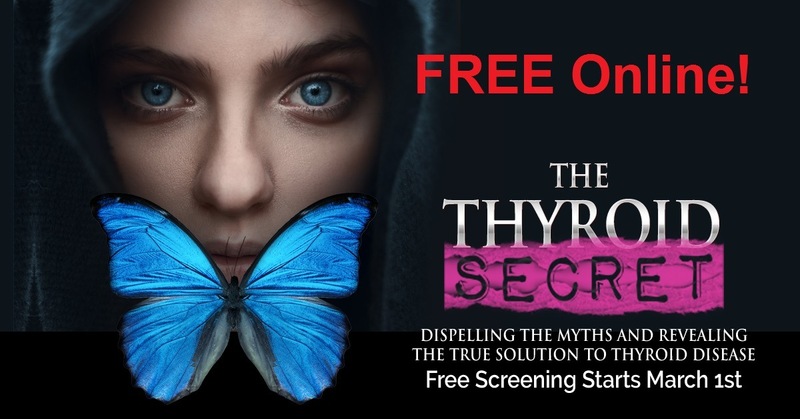 World Premiere Docuseries: The Thyroid Secret - Get Your Health Back - FREE Online! Did you know that nearly 1 in 3* Americans have Thyroid Disease? And of those people suffering with thyroid disease, almost 60% have no idea why their body is betraying them? Though thyroid symptoms vary and are often nondescript, they greatly impact people’s ability to feel strong, healthy, and happy. The Thyroid Secret Docuseries will help to raise awareness about thyroid conditions (such as hypothyroidism, Hashimoto's, Graves disease, nodules, thyroid cancer, hyperthyroidism and postpartum thyroiditis) as well as the interventions that get to the root cause of their conditions and can help a person recover their health. We feature a lineup of top thyroid and health experts, including Dr. Izabella Wentz, Dr. Alan Christianson, Dr. Tom O'Bryan, Dr. Datis Kharrazian, Andrea Nakayama, Dr. Mark Hyman, Dr. Kelly Brogan, Sayer Ji, Dr. Sarah Ballantyne, Dave Asprey + Hashimoto's Awareness and Thyroid Change charities. Plus numerous patient stories depicting their painful experiences as well as the healing that is possible. This documentary has innovative, actionable, effective and easy to understand solutions coupled with patient empowerment. It begins March 1st, and registration is FREE online.